A new report from Bloomberg claims that Apple has a 12.9-inch iPad in the works for early next year. Sources told the publication that Apple had been working with suppliers for the past year and could begin production as soon as the first quarter of 2015. The report also corroborated recent claims that Apple’s next iPhone, expected to be announced September 9, will include 4.7-inch and 5.5-inch models. Rumors of a 12.9-inch “pro-level” iPad are nothing new. However, today’s report is noteworthy because it comes from a mainstream outlet and pushes the timing to 2015. 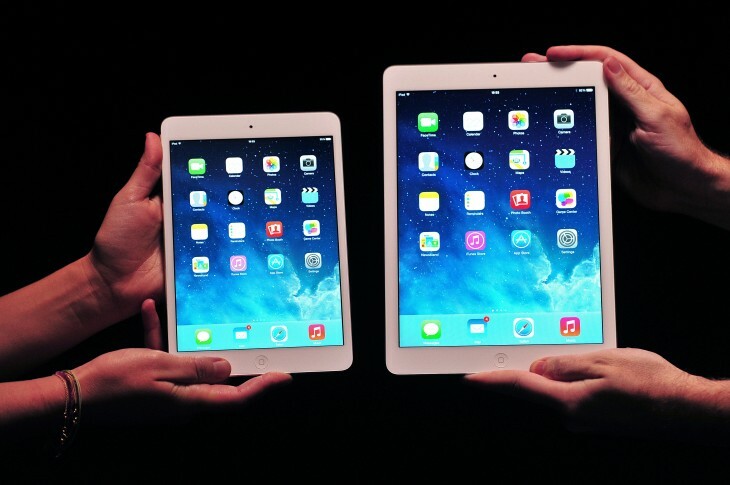 Earlier rumors had suggested that the large-screen iPad could arrive as soon as this fall. Considering the size jump of the rumored iPad, Apple would presumably position the device as a hybrid laptop replacement for professionals and creatives. Microsoft has attempted to do so with its 12-inch Surface Pro 3. As I mentioned in my Apple 2014 prediction piece from earlier this year, Apple’s product lines had gaps in the screen sizes between its iPhone and iPad lines and its iPad and Mac lines. While the company hasn’t shown much interest in merging the three products, evidence suggests that it’s been working hard to close the gaps with larger-display models of iPhones and iPads. A 12.9-inch tablet will likely be too large for most casual users, but I’m curious to see how the device stacks up as an alternative to a MacBook.